I didn’t review Lalique’s Hommage à l’Homme when it came out, but I do remember thinking that it was rather nicely done. Hommage à l’Homme Voyageur (simply referred to as ‘Voyageur’ from this point onwards) makes even more of an impression and it is safe to say that it’s easily one of the most satisfying takes on the blue masculine theme I’ve come across, if not one of the most pleasing masculine fragrances to have been launched within the last 12 months. Voyageur was created by perfumers Michel Almairac (Bottega Veneta Eau de Parfum and Gucci’s Rush) and Mylène Alran (Olfactive Studio’s Ombre Indigo and Bentley’s Crystal Edition) and opens with a delicate crackle of citrus and spice, namely bergamot, saffron and cardamom. The blending here is superb and the initial impression given by these notes is of soft, grey sand, presenting a smooth and finely grained range of textures. As it settles, Voyageur becomes softer still imbuing the feel of dark blue silk. It also increases in warmth thanks to velvety strands of vanilla that provide just a tiny hint of amber-y sweetness. Everything feels as if it is perfectly proportioned and this sweet edge just gives a silky sheen to all of that well-milled spice and wood. At no point does is tread into your average synthetic smelling amber/vanilla dry down, thankfully. Voyageur is fairly linear and where this would perhaps be a criticism in most cases, it isn’t here as the fragrance smells so darn lovely that one really doesn’t want it to change much at all. It is easily the most enjoyable masculine fragrance that I have smelled in quite some time, beating the likes of last year’s champs – Bottega Veneta Pour Homme and Huitieme Art’s Monsieur – hands down. Bravo to Lalique! Lalique’s Hommage à l’Homme Voyageur launches this month and will be available in 50ml (£48) and 100ml (£67) Eau de Toillette. A matching shower gel (150ml – £19) will also be available. It would be fair to say that Bentley For Men Azure isn’t in the same league as the Lalique. 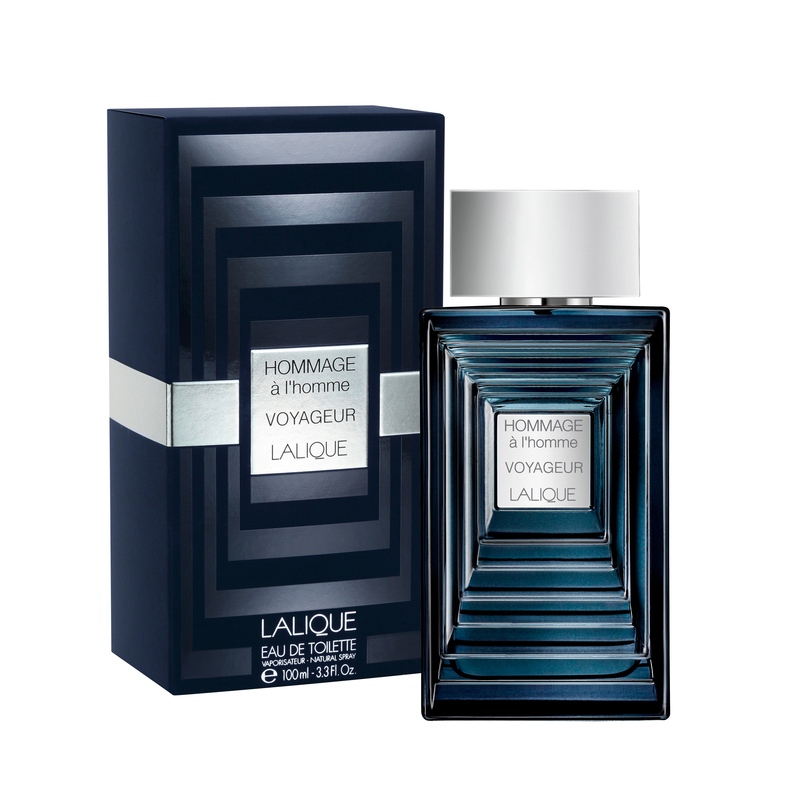 Where Hommage à l’Homme Voyageur feels utterly luxurious with its silky blend of citrus, woods and spices, For Men Azure simply portrays a perceived idea of luxury – one where the concept of ‘sparkling freshness’ is all that is needed to portray the feel of something expensive. The scent itself doesn’t smell deluxe nor does it fell particularly pricey. Bentley for Men Azure’s top notes are filled to the brim with zesty citrus ingredients. Pineapple and lemon are the most prominent and the effect is rather pleasant, boasting none of the acidic or acerbic qualities that both fruits are so well-known for. Violet leaf, a staple for any semi-aquatic, semi-fougere fragrance, adds just a touch of sweet greenery to the proceedings, but for the most part all is fresh, oceanic and in keeping with ‘azure’ tones. 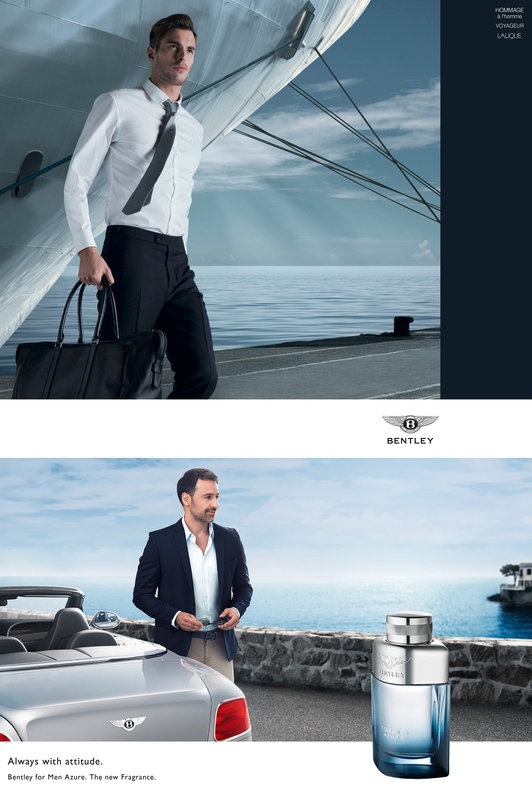 Perhaps the most enjoyable element of Bentley For Men Azure is the salty undercurrent that it boasts. The fruits, leaves and ‘woods’ (none of which have ever seen a real tree in their existence) all sit just above a delicate wave of sea spray that evokes the image of salty sea air. At this point one can imagine driving along a coastal road in a drop-top Bentley (I wish), taking in the sights and gorging on the salt-laden air. As it moves into the dry down, Bentley For Men Azure loses a lot of its weight and becomes much thinner and more astringent. The pleasing sea spray aspect subdues and what is left is a tinny wood effect that is discordant amongst the plusher hints of tonka bean and cashmeran. It’s at this point that the fragrance really loses its identity and sinks into a ‘generic fresh masculine’ state that can be found in so many other fragrances of its kind. Bentley For Men Azure is nothing particularly unusual and whilst it may be a little bit rough around the edges I certainly don’t hate it. For the most part it is pleasant enough and it would be an unfair omission to say that I didn’t get a little bit of a kick out of that salty sea spray. The key issue is that one can get a more satisfying taken on salty fresh elsewhere, specifically in The Different Company’s Sel de Vetiver and Creed’s Erolfa, both of which do feel that little bit more luxurious than the Bentley. 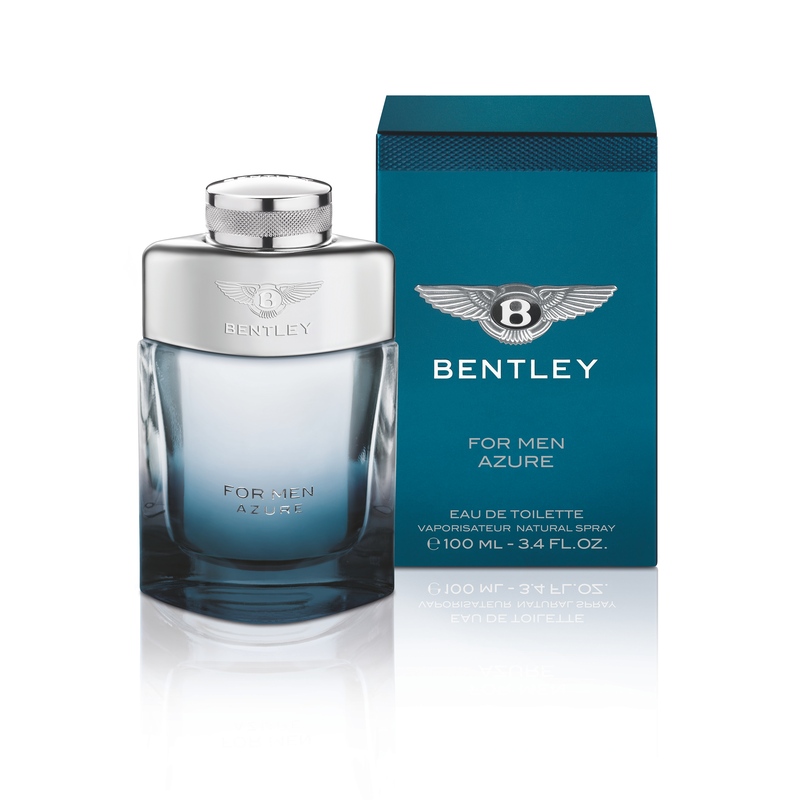 Bentley For Men Azure is available in 60ml and 100ml Eau de Toilette. A matching shower gel is also available. Samples, images, notes and quotes via Lalique and Bentley. Posted in Bentley, Flanker, Lalique, Masculine and tagged Bentley, Bentley For Men Azure, Flanker, Hommage à l'Homme Voyageur, Lalique, Masculine, Perfume, Perfume Review. Bookmark the permalink. The Lalique does sound well done and it must be good to be your favourite masculine of recent times, beating Bottega Veneta Pour Homme and Monsieur. Noted! The Lalique is simply gorgeous. It’d be a pretty good feminine, too. Do you get any Green Irish Tweed or Cool Water vibe out of the Bentley Azure? Not at all. I find it to be much drier and saltier than the CREED or the Davidoff.